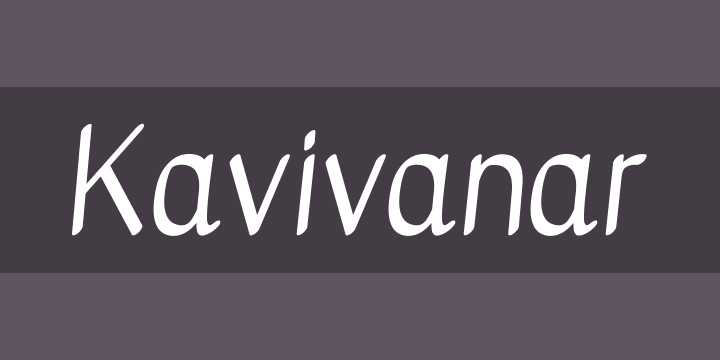 Kavivanar is a unique handwriting font that supports the Tamil and Latin scripts. It is somewhat bold, and slightly slanted, a typical Tamil handwriting style where an incline is popular. The letterforms show a calligraphic pen stress that brings a liveliness to the letters and provides texture in body text settings. It works well with both body text and display text because of the intriguing rhythm. The slanted letterforms for Tamil are inspired from a manuscript by Kavivanar M. A. Azeez (1948-2002), a Tamil poet and educator who lived on the east coast of Sri Lanka.